Boy meets girl. They fall in love. They move in together. Things happen. Fiction is filthy with novels with this basic theme. The trick is, how does an author make his or her work stand out from the others? Make a dictionary out of it. 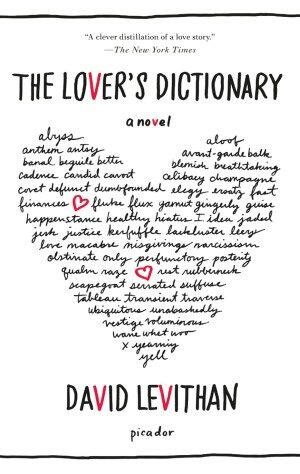 David Levithan created The Lover’s Dictionary to tell the story of the relationship between an unnamed man and woman. Words are defined with moments from the couple’s relationship and arranged in alphabetical order. This makes the story of the relationship move backward and forward but Levithan left a few tiny forward-moving clues within the alphabetical entries. Certain entries build slowly to create the picture of a scene within the other definitions and meanings of words or phrases. See? There are so many wonderful entries in this book. 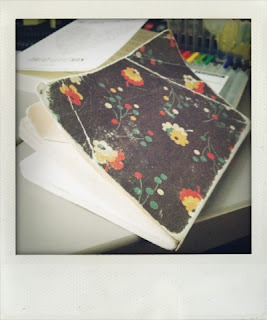 I scribbled many into my ratty little quote journal. Some of the best entries are arduous, blemish, breach, breathtaking, celibacy, corrode, deciduous, elegy, ephemeral, epilogue, fallible, fraught, hiatus, indelible, justice, kerfluffle, livid, love, macabre, peregrinations, placid, recant, rifle, sacrosanct, traverse, and yearning. My favorites are livid (a gut-punch, seriously) and sacrosanct (absolutely beautiful). When you finish reading the book, from A to Z, go back and read the entry for “epilogue” – what do you think it means? What do you think he’s writing? 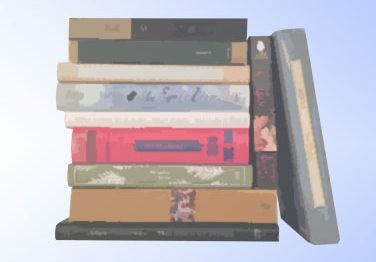 Jonathan Yardley, book critic for the Washington Post, wrote an occasional column about books he remembered fondly but hadn’t re-read in some time. Second Readings is the anthology collecting these columns. This book took me a while to read, mostly because I haven’t read even half the books Yardley talks about. I think I’ve read only 10 of the books Yardley reviewed. Ouch. It made for hard reading because a) if it sounded good, I didn’t want to spoil the book for later, and b) I didn’t have an opinion to contrast (and I don’t think we have overlapping taste). Still, a good book in general and I found a number of things to add to my TBR. Beauty and the Beast: 3D!!!!! As I’ve said elsewhere, on various platforms, Disney’s Beauty and the Beast is one of my favorite movies. Maybe because of the Ashman/Menken score, maybe because it’s my favorite fairytale. So when Disney put B&B back in theatres, I merrily went off to the movie theatre with Jackie and Mediazombie. It was in 3D. I didn’t really care – I’d have gone if it were plain, old 2D – but it was good in some sections. The “Be Our Guest” sequence did have some nice 3D effects, as well as “Kill the Beast.” Obvious new smoke effects stood out. I was glad that Disney didn’t recut the movie to insert any new sequences. They could have – “Human Again” was originally written for the movie, taken out, used in the Broadway musical, then fully animated for the DVD release – but it was nice to watch the movie just like I did the first time. Idea for marketing: Sing-along showtimes? We all commented that we wanted to sing all the songs. 5. Finding Nemo 3D – awww, cute! 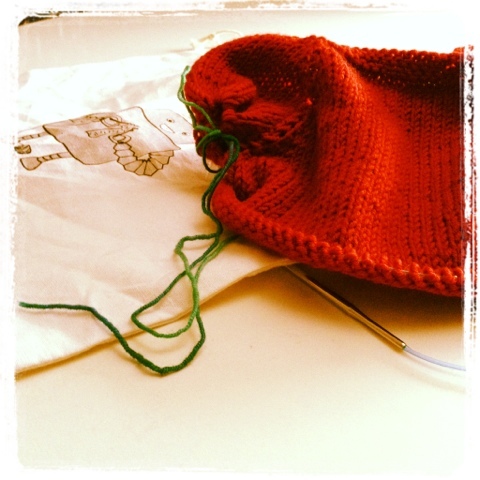 I finally downloaded the Instagram app to my iPhone. Stop SOPA/PIPA: Hit your email. Go to Wikipedia (they are blacked-out today, January 18) to protest the SOPA/PIPA legistlation in the US), put your ZIP code in, and email your representatives. Takes like two minutes. EVERYONE NEEDS TO DO THIS! DO IT NOW! I was pulling romance strips last week and came across The Madness of Lord Ian Mackenzie. Now, I had read a few reviews about this book – the twist in this book is that the hero demonstrates signs of Asperger’s syndrome and has suffered Victorian insane asylums for years as a result. Well, color me interested so I snagged one of the castoffs to take home. Halfway through I pulled out my NOOK and bought it. I was really enjoying the story and Jennifer Ashley deserves the sale. Truly. Ian and Beth are both unconventional romance characters – Ian with his “madness” and Beth having risen from the gutters of London to become a weathly, respectable widow. As the novel opens, Ian is preparing to buy a rare porcelain bowl from Lyndon Mather, Beth’s fiancee. Ian collects the bowls and while he is the expert, Mather is a poseur, claiming to need the blunt from the sale to impress his fiancee, Beth. Ian, on meeting Beth, passes her a note informing her that Mather isn’t all that he seems…and that he would be willing to marry Beth to keep her from the scandal of breaking an engagement. It seems like a strange set-up but it works because Ashley renders Ian’s abrupt view of the world so well. Through Ian’s and Beth’s story we meet the other members of the Mackenzie family – the rough-and-tumble brothers who weathered life with their abusive father and came out the other end scarred but still standing – and they’re all rather loveable, even Hart-the-Duke who isn’t drawn quite as well as the others. There are some standard tropes used – Ian is about as big and smoking hot as any romance hero and there some odd language in the bedroom scenes (“swirled” is not a word I would associate favorably with sensuality) – but the overall book is a great read. 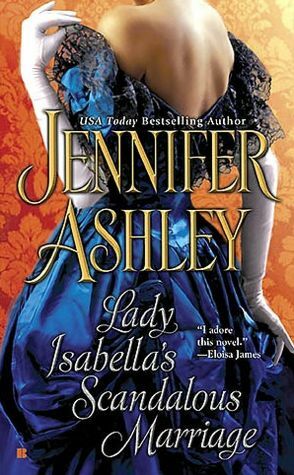 From there I downloaded the second book, Lady Isabella’s Scandalous Marriage, which follows the next eldest brother, the artist Mac, and his wife Isabella (the series takes a different timeline in that it starts with the youngest, Ian, and moves up the brothers by age). Mac and Isabella are also different characters – for one, they’re already married, and two, Isabella walked out on Mac because he spent more time drinking than anything else. Since then Mac has sobered and stayed clean but he has run into a problem: his paintings are now terrible. Their reconcilliation begins when Isabella suspects that someone is forging Mac Mackenzie paintings using a yellow paint color created by Mac himself. Both characters carry a lot of emotional baggage – Isabella’s family cut her off when she eloped with Mac at her come-out ball, they lost their first baby to a miscarriage – and unpacking and dealing with all of it makes a satisfying story. I felt like the “mystery” was tacked on and complicated but was dealt with quickly. This book is also very sultry – Mac must paint a series of nudes to win a wager, Isabella says she will model for him to help “the muse”….you do the math. Very hot. And since there was a third Mackenzie book available, I went straight on to The Many Sins of Lord Cameron and snarfed it right down. This may be my favorite of the series so far. I love Ainsley, she is such a fun character (we met her briefly in Isabella’s book), lock-picking hairpins and all. Cameron may be the most emotionally damaged of the brothers – his first wife was an awful trollop, beat him with a poker while he slept, and then tried to kill him and their infant son, Daniel (who is an amusing, and well-drawn, almost-college student in this book), before killing herself. Cam and Ainsley have unfinished business from years ago when he caught her sneaking around in his rooms. What I love most about this book is that there isn’t any overarching mystery, neither of the main characters are in danger. It’s just a love story where two people come to love and trust each other (and there’s a bit about horses and Roma, too). The only drawback came when Ashley decided to include a partial chapter from Eleanor’s perspective (she’s Ainsley’s friend and Hart’s ex-fiancee) just to get a meet-cute with her and Hart to set up the next book, The Duke’s Perfect Wife, due out in April. But I’m really interested in that one, so I’ll forgive the inclusion. Kurt Loder reveiwed movies for MTV.com and Reason magazine website. This volume collects a number of his reviews – and a few done specifically for this book – from the 21st century. Lots of fun. Five hundred pages of movie reviews – some good movies, some bad, some really Godawful (like Nicholas Cage movies – the last chapter is devoted to bad Nic Cage movies from the 2000s) – and all of them in Kurt Loder’s very readable style. And we have almost exactly similar taste. Go figure. So it’s Caucus time…bleah. But in other Iowa news, remember that whole Stephen-Bloom-thinks-we’re-all-stupid-hicks article he wrote? UI President Sally Mason wrote an open letter and some of Bloom’s colleagues wrote an article for the Gazette. The ISU journalism director weighed in, too (Bloom just needs to start looking for another job – not go on Brian Williams and act like a condescending jerk and talk about how no one is “getting” his “satire” – because, tenure or no, he’s in hot water – I never met anyone who actually wanted him for a professor, even before this). Here’s another response (it drops the F-bomb, FYI).